We provide a range of general cleaning services with varied degrees of specialization to suit your needs. 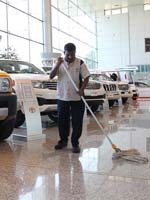 We offer expert cleaning services for corporate offices, commercial properties, educational institutions, hospitals, retail shops etc, across Dubai. If its a long term cleaning service contract or one time cleaning service,whatever your specific needs are , we can tailor our cleaning services to suit your budget.We custom design each cleaning services to meet your specific needs. Our wide array of cleaning services will give you all the solutions you need with the quality you expect. Our goal as a member of your community is to provide you with the best cleaning service at an affordable price. We are committed to bringing you the personal attention, reliability, trustworthiness and quality care you deserve. The Construction Cleaning Service is a specialized Division of Cleanco providing a full range of Cleaning Services to the Construction Industry.We provide Building Cleaning and Post Refurbishment Cleaning to Builders, Architects, and Individual properties alike, in all major areas across the UAE. 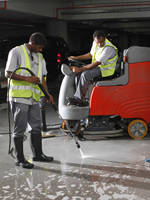 From residential properties to Hotels, Retail centers, Spas, Shopping Centers, Business Centers, Restaurants and Clubs, Cleanco is the best choice for construction cleaning in UAE. We provide specialist cleaning and maintenance services including Floor Maintenance , Sealing, Buffing, Marble Crystallization, Duct Cleaning, External Cleaning, High Level Cleaning and much more. If you are planning to move out from your villas or apartments or office space or perhaps you want a Deep Cleaning before you move in or move out we can offer complete property cleaning with the option of discounted price on other services. The cleaning is carried out by professionals and the teams are equipped with all the necessary chemicals, tools and latest cleaning equipment so they can blitz any property.